Tow Truck Insurance Philadelphia PA — Great Deals, Call Today! Great deals can be had on Tow Truck Insurance in Philadelphia Pennsylvania and the surrounding areas when you call Pathway Insurance @ 800-998-0662. Our agents are standing by to take your calls, answer your questions, provide accurate rate quotes based on your provided information, and to issue policies Monday through Friday up until 5 PM Eastern Standard Time. Pathway is a leading agency offering Tow Truck Insurance in Pennsylvania and across the country in many states. A second convenient way to speak with a licensed agent is to do so using this website. Click on our chat button and you will be connected to one of our Pennsylvania Tow Truck Insurance Agents up until 8 PM. The final way that you can reach out to us is by sending us your request for quotes and information by using our online quote forms. Since we service the greater Philadelphia area choose the area closest to your business location, click that link, complete a few details, and a licensed agent will get back with you soon to answer your questions and provide rate quotes. Tow Truck Insurance Philadelphia PA — You Can Lose Everything in the Blink of an Eye! Hiring the wrong driver could cost you your entire business! Let’s see a fictitious example of how that happened with one towing operator who had been in business for some time. Ted Jones of Jonesy Tosi Towing has a small but very financially successful towing operation. Ted owns three tow trucks and employs three full-time drivers, two part-time drivers, and three other full-time staff to manage his business. One of Ted’s most experienced drivers, Bill Davis, tells Ted that he is going to be retiring and moving to Florida and his last day on the job is today. Ted was caught completely unaware by Bill’s plans to suddenly retire and now he’s in a bad spot because he runs a 24-hour towing service and Bill just so happens to run the graveyard shift. Ted tries to talk Bill out of quitting so soon but Bill has made up his mind, sold his house, and purchased a small one-bedroom condo in Clearwater Florida and is leaving tomorrow. Ted now needs to scramble to find a replacement driver which will be tough in itself because, up until this point, Bill had been so reliable. Otherwise he’s going to be running the graveyard shift himself personally. Ted is getting close to retirement age himself and really doesn’t want to work more than he has to, especially from 12 am to 8 am in the morning. Ted runs a few ads online and has several people who call him for the job. He sets three interviews. Two potential hires show up for the interview. One, named Jerry, is clearly hungover, with a heavy 5 o’clock shadow at 10:00 in the morning. The other is a younger man named Buzzy Bigelow, maybe 25 years old, if Ted had to guess. Jerry was slovenly dressed, reeked of alcohol, and clearly, Ted could see, would not be someone he would entrust driving his trucks. Buzzy seemed to be the best of the two candidates so Ted hires him on the spot. However, Ted, in his desire to hire someone immediately, failed to run Buzzy’s MVR or ask for references. Buzzy did give Ted a resume showing that he had three years of experience working for a company in Michigan and recently moved back home to Pennsylvania. Tow Truck Insurance Philadelphia PA — Hook, Line, and Sinker. Ted bought Buzzy’s story hook, line, and sinker without checking his resume or running an MVR. Ted also wanted to bring Buzzy on as soon as possible because he had a scheduled seven-day cruise that was leaving in two days from Miami that he was going to take with his wife of 27 years, Belinda. The other drivers assured Ted they could cover the slack in Ted’s absence, but Ted did not want to pay the extra overtime to his drivers so he hands the keys to one of the trucks over to Buzzy. The next day, Ted and his wife are driven to the airport by their daughter Jane and they excitedly wait for their flight. They make it to the Miami airport at around noon and catch a shuttle service to the dock where they will sail away on their dream vacation to the Caribbean. Before leaving, Ted calls the shop to check in to make sure Buzzy showed up for work. Ted’s dispatcher, Sally, assured him Buzzy showed up 30 minutes early for his training day with Pete Hilton, his day driver. Both Sally and Pete are enthused about Buzzy’ s positive disposition. Pete confidently assures Ted he made a good hiring decision. This gives Ted peace of mind so he can enjoy his Caribbean cruise. Since Ted will be out of the country he has no access to email or text messages and he thoroughly enjoys his dream vacation with his wife. As is true of all vacations, all good things come to an end. About 15 minutes before the cruise ship docks in Miami, Ted turns his cell phone on for the first time in a week and notices there are at least 50 text messages. He starts to go through them one by one. Belinda, Ted’s wife, notices her husband’s expression go from alarm to something she’s never seen before; she sees an absolute look of horror on Ted’s face! After his training day with Pete, Buzzy hit the road the next evening on his own. After an excellent day of training, Buzzy turned into a one man wrecking machine the next day once he was on his own. Unbeknownst to Ted – because he didn’t check by running a simple motor vehicle report – Buzzy was an addict. He took hard drugs several times to calm his nerves before driving Ted’s large tow truck. It’s tough to operate any type of machinery or large tow trucks when sober, let alone when you are under the influence of opioids. It was reported to Ted after the fact via the local law enforcement that Buzzy damaged or wrecked five customer vehicles by 10:00 PM, severely injuring two people, one whom later died. Buzzy was subsequently chased by three police cars until they used stop sticks to prevent Buzzy from additional harm or property damage. Ted’s $90,000 2017 wrecker was damaged and impounded. Buzzy was facing vehicular homicide charges. He later opted for a plea deal and got seven years. Weeks later, Ted’s business was hit with five different lawsuits. Over time, judgments were assessed against Ted’s business, coming in at $9.8 million. One person, as was previously reported, died at the scene, and a second person was seriously injured, paralyzed from the waist down. There were a few other minor injuries. Ted’s policy paid $1 million to the deceased victim as that was his maximum limit allowed. After that, Ted was forced to hire his own attorney to defend against the other lawsuits. Ted lost his entire business because he failed to check Buzzy’s MVR and references, the latter being completely fabricated by Buzzy. Tow Truck Insurance Pennsylvania — A Simple Mistake Ted Made! If Ted would have taken time to run a simple MVR on Buzzy he would’ve discovered that his driver’s license had been revoked because of two previous driving under the influence charges, in addition to three accidents and seven speeding tickets in the last three years. Buzzy was actually 34 years old, living at his girlfriend’s home and desperate to feed his addiction but blessed with stunningly youthful looks and a sunny disposition. He was under the influence at the interview yet Ted had no idea. Buzzy had never driven a tow truck in his life, and he was really hoping that Ted would not check his driver’s license number. Obviously, Ted did not. In fact, Ted had forgotten to even call his insurance agent to add Buzzy to his policy because he was in such a rush to enjoy the last nice vacation he would ever have. Ted’s insurance company had sent out a letter to Ted with something called a reservation of rights clause. In the beginning it was Ted’s insurance company’s intention to fight Ted on paying the claim. After a brief investigation they decided that there was no malfeasance, or wrongdoing, on Ted’s part. He simply made a mistake. A big mistake. Ted’s insurance company paid the $1 million claim, then promptly notified him they would no longer provide legal representation, as their obligation under their contract had been fulfilled with the claim payment. Next, Ted’s insurance company canceled his policy, which really didn’t matter at this point. With all of the bad publicity, Ted’s business was going down the drain quickly. The multi million dollar judgments forced Ted into bankruptcy. He lost his business that he had worked so hard to develop. Years of hard work and labor, many late nights, and, as the saying goes, lots of blood, sweat, and tears were all wiped out in the blink of an eye. Buzzy really did not intend the harm he caused. He cleaned himself up in prison and was released two years early. All because of one simple mistake, a mistake that you yourself could make quite easily. Never allow someone to get behind the wheel of one of your commercial trucks without running their MVR reports. Never fail to add drivers to your policy who are operating your covered vehicles. In the case above, Ted’s insurance company paid the claim of $1 million but they were willing to fight him in the beginning because they thought that Ted was trying to pull a fast one on them. Some insurance companies would not have paid the claim because of exclusions within the fine print of their policy. Don’t make Ted’s mistake your mistake. Tow Truck Insurance Philadelphia PA — Great Options Are One Call or Click Away! Call the agents of Pathway Insurance by dialing 1-800-998-0662 Monday through Friday to receive quotes on Tow Truck Insurance in Philadelphia and the surrounding areas or use our chat system up to 8 PM through the week. We are a leading agency offering Tow Truck Insurance in Pennsylvania and in many states throughout the country. You can count on Pathway to help you find the coverage you need. You can also send us a request for quotes and information 24 hours per day by using our online submission system. To use our online web portal, pick the area closest to your actual business location by clicking that link, fill out a few details on the quote form, and one of our specialists will get back with you quickly to help you with your insurance. Tow Truck Insurance Pennsylvania — The Secret to Keeping Low Rates Explained! If you’re looking for the best options for Tow Truck Insurance in Pennsylvania you have found the right website. Call 1-800-998-0662 Monday through Friday up until 5 PM EST to speak with a licensed agent about your Pennsylvania Tow Truck Insurance needs. You can also use our online chat system to speak with a licensed agent up until 8 PM EST. Pathway Insurance is a leading insurance agency specializing in Tow Truck Insurance in Pennsylvania, Maryland, West Virginia, Virginia, South Carolina, Georgia, Florida, Alabama, Mississippi, Tennessee, Kentucky, Indiana, Ohio, Michigan, Illinois, Wisconsin, Minnesota, Colorado, Missouri, New Mexico, Texas, Arizona, and Alaska. 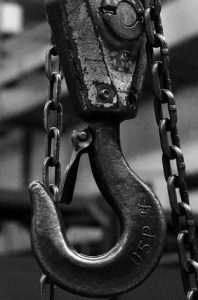 Want to know the secret to keeping your rates on Pennsylvania Tow Truck Insurance low for as long as you are in the towing business? Keep reading. Tow Truck Insurance Pennsylvania — Give Us the Facts, Jack! You might mistakenly conclude that the absolute secret to keeping your rates low for Tow Truck Insurance in Pennsylvania is to simply shop around from year to year. On one hand that sounds logical, but here’s the problem: There are relatively few insurance companies offering Tow Truck Insurance in Pennsylvania. By contrast, there are hundreds of different insurers that offer Car or Home Insurance in Pennsylvania. Not so for Commercial Tow Truck Insurance in Pennsylvania. 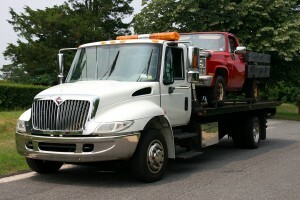 Why are there so few companies willing to offer commercial Tow Truck Insurance in Pennsylvania? It’s an interesting question, but here’s one answer. Commercial insurance inherently comes with more risk for insurers. For example, tow trucks can range in size from small- to medium-duty trucks, up to tractor-trailer tow trucks that can pack a punch when they run into other vehicles, buildings, and, upon unfortunate occasion, people. Example: in 2016, according to the Federal Motor Carrier Safety Administration, 4,440 large trucks and buses were involved in fatal crashes, a 2 percent increase from 2015. The number of large trucks and buses in fatal crashes has increased by 29 percent from its low of 3,432 in 2009. You can read that report by clicking on Trucking Accidents. In addition, some towing companies have not been as strict in their hiring practices for drivers, making the mistake of hiring some individuals that would automatically need to be placed in a high-risk insurance category if they bought a personal car insurance policy. In addition, aggressive towing practices have led to claims that were in most cases totally preventable. Towing companies that work for auto clubs are paid less money than typical towing for hire and road side assistance companies. And the tow drivers, most on commissions themselves, are in a quick hurry to get from tow to tow, leading to haphazard activities by drivers that lead to unnecessary claims. Example: one towing company had so many minor claims within a two-year period of time, mainly involving damage to customer vehicles that are being transported, that they could no longer find an insurance company willing to insure them affordably. They were forced to close down their multi-million dollar towing operation. So, the bottom line is that few insurers want to provide Tow Truck Insurance in Pennsylvania. Companies that you see advertising on television for car insurance will not offer this type of commercial insurance. It is simply a risk beyond their scope of acceptability. Therefore, fewer options mean higher prices. However, there are some steps that you can take to keep your rates low, in contrast to towing companies that fail to take these steps. Let’s examine them now. How to Keep Low Rates on Pennsylvania Tow Truck Insurance — Explained! 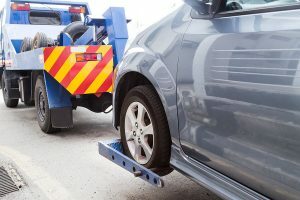 Because there are so few companies offering Pennsylvania Tow Truck Insurance it’s important for towing operators to understand which businesses get the best rates and which do not. Example: The number 1 rate factor is claims history. A towing company paying the lowest premium rates will have had zero claims in the last 3 to 5 years. A company paying the highest premium is due to claim activity. The difference between a company paying the least and the most for Pennsylvania Tow Truck Insurance could be ten times or more! 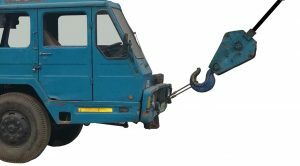 Here’s the question to consider: Is it conceivably possible for a towing operator to have zero claims? Just like it is possible for someone who drives a personal automobile to never have had an accident it is possible for drivers of towing operations to be claim free. How is it possible to be claim free? Hiring good drivers, firing bad drivers immediately, and good equipment and safety training. A good towing operation has a regimented safety training program, evaluates drivers on a regular basis, runs MVR reports frequently, and performs random drug tests. Why is driver training vital? Example: Many years ago, after being discharged from the military, I accepted my first civilian job working as an electronic tech for a scale company. The scales we worked on were both small and large, i.e. truck scales for weigh stations. One day, my manager tells me to take the weight truck over to a weigh station in Indiana so that it could be tested and calibrated because there had been reports that it was providing inaccurate readings. I immediately told my supervisor that I have never driven a tractor truck before! The weight truck carried a number of 5,000 pound test weights and the truck itself was a large international tractor truck. He throws the keys to me and tells me to practice driving the truck in the parking lot. I did what my supervisor told me, practicing for about 15 minutes before he comes out to yell at me that I have had enough practice driving the truck and need to hit the road. Turning on to the highway in that big truck was a bit nerve wracking as I knew I did not have enough experience behind the wheel, and, of course, ZERO training other than my 15-minute practice session in a parking lot. Fortunately, I didn’t have an accident and I drove the truck half a dozen additional times before they got tired of hearing me grind the gears. They took me off big truck driving duties and gave me a smaller 25-foot box truck to drive. Here is the problem: I had absolutely no business driving a tractor trailer. The probability of having an accident was great, and the fact I had ZERO experience driving a truck that large without a CDL license would have also been problematic for me in the event of a crash. Training can make a big difference in your claims track record as a towing operator. If you offer the same level of training that my supervisor did for me personally, this is a sure-fire recipe for disaster! Do not allow inexperienced individuals to “learn on their own”. Make sure that you offer ride along training to observe the driver. Otherwise you may regret it later. Remember, you are ultimately responsible for the actions of your drivers, regardless of whether they are employees or independent contractors. GPS systems that allow you to track not only location but speed and hard braking are important tools to monitor the activity of your drivers. Additionally, purchasing dash cams to record activity for both front and back recording is also a good safety feature and will help you to keep claim activity lower. Tow Truck Insurance Pennsylvania — Hire the Right Drivers. Claims activity, as was mentioned above, is the number 1 reason why towing operators will pay the lowest rates for their Pennsylvania Tow Truck Insurance, and it’s also the number 1 reason why towing operators close their doors forever, because they can’t find affordable rates. What drives claims? Bad drivers. A bad driver or drivers will kill your business. Example: one towing company with 20+ vehicles on their policy was canceled because of claim activity. Previously, they were paying around $80,000 per year with one insurer who has since gone out of business (too many claims). Their new rate – the lowest they could find – was $365,000 per year! They were a multi-million dollar towing operation and most of their trucks were financed. They could not simply shut down, so they paid the higher price to stay in business. Imagine if that is you. Your insurance rates increase by four times because of bad drivers. Don’t think it’ll happen to you? Think again if you hire the wrong drivers. #3 — ask if they caused any claims or accidents with the previous tow company. If so, ask for pertinent details on what happened. Why should you take the above steps? It is simply to protect your business. By failing to take the above steps you are entrusting a person whom you may have never known previously with your financial future. In our next post we will see how you could lose everything in the blink of an eye when you hire the wrong driver or drivers. 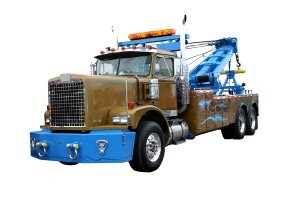 Click on Tow Truck Insurance in Philadelphia Pennsylvania to read this article. Tow Truck Insurance Pennsylvania — A Company You Can Count On! If you’re looking for a great deal on Tow Truck Insurance in Pennsylvania you can count on Pathway Insurance to help you find the coverage you need! Call 1-800-998-0662 to speak with one of our licensed agents Monday through Friday up until 5 PM Eastern Standard Time, or use our online chat system to speak with an agent up until 8 PM EST. Tow Truck Insurance Fort Wayne Indiana — New Program with Low Rates! Do you need low rates on Tow Truck Insurance in Fort Wayne Indiana or the surrounding areas? Your search is over! Call 1-800-998-0662 and speak to the licensed agents of Pathway Insurance right now! Pathway Insurance offers super competitive rates for Tow Truck Insurance in Fort Wayne Indiana and throughout the state. If it’s after 5 PM Central Standard Time do not worry you can speak to a licensed agent right now! Use our chat system up until 7 PM CST or up until 4 PM CST on the weekends for quotes or service on your policy if you are insured with our company. Tow Truck Insurance Fort Wayne Indiana — New Rates. It’s tough to find good rates on Tow Truck Insurance in Indiana, would you agree with that? We are pleased to announce a brand-new program has been released by a company offering competitive rates in all 50 states! The most qualified tow operators will be those with at least 2 years of prior insurance, although some exceptions could be made in some instances. The best way to learn whether or not your company would qualify for this new program is to give us a call or if it’s after hours submit your information to us through our quote links that are listed above. Let’s now consider part seven of avoiding creative ways to buy Tow Truck Insurance. Tow Truck Insurance Fort Wayne Indiana — Avoid Using Creative Ways to Buy Tow Truck Insurance Part 7. In our last article Stan Earnest, sales manager at XYZ Auto Insurance visits with Stephany Kowalski, a senior underwriter for the company and has her do a cross search for a potential customer insured by the company, after only a few moments Stephany finds the customer and Stan asks her if he can take her seat for a minute to check the file. “Hmm that’s interesting, it looks like there might be something to this, I see a Ford F150 that was added recently to Mr. Henderson’s policy.” Stan taps a few more keys on his keyboard and pulls up the request from the agent to add this truck. Stephany offers to make a call to the agent and Stan authorizes her to do so. In our next article we will consider what Stephanie discovers in speaking with the agent of record on this account. Tow Truck Insurance Fort Wayne Indiana — Call Pathway Today. Don’t forget to call and speak with one of our agents to see if you may qualify for this brand-new Indiana Tow Truck Insurance program available in all 50 states. Brand-new business ventures may not qualify for this program but other insurers will be interested in providing quotes for new business ventures. Call 1-800-998-0662 to speak with one of our knowledgeable Commercial Truck Insurance Agents or if it is more convenient use our chat system that is available seven days per week. One final method request quotes is to use our online submission system. Find the area closest to your business location, click that link, completed a few details, and a licensed agent will get back with you soon. Tow Truck Insurance Louisville Kentucky — Low Rates & Same Day Coverage for Small Companies! We offer very low rates and same day coverage when you need Tow Truck Insurance in Louisville Kentucky and the surrounding areas! Tow Truck Insurance Louisville Kentucky – Don’t Try This Ever! In a series of articles, we have considered the fictitious story of one Bugsy McCoy, owner of Bugsy McCoy Towing. Bugsy got himself into a really bad situation because he was a really bad judge of business character in hiring tow drivers. You see, he just so happened to hire two knuckleheaded brothers named Jim and Joe Henderson. Jim and Joe are some of the worst drivers you can possibly imagine and have no business driving big trucks that can do BIG damage. In the space of only a few years, they caused about $120,000 in claims. 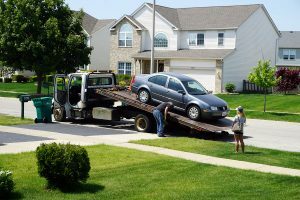 After losing a bundle of money insuring Bugsy McCoy Towing, Bugsy’s former Kentucky Tow Truck Insurance Company dropped them as soon as they could. Bugsy then gets the idea to close his former company and open a new tow company under a different name, hoping he will get a fresh start on his insurance. There was only one small problem: insurance companies are now able to detect these types of shenanigans when they’re pulled on them. Unfortunately, Bugsy called Slick Willie for Kentucky Tow Truck Insurance Quotes, and Willie is in a bit of a financial jam, himself. He has less than four weeks to pay back $15,000 owed to his one and only company offering Tow Truck Insurance in Kentucky. Slick Willie comes up with the perfect solution in his mind. Tow Truck Insurance Louisville Kentucky – Trust But Verify! Slick Willie lets Bugsy know about a “new company” willing to insure his business, and the price is close to $29,000 for the year. Bugsy can get a BIG “discount” if he pays for the 12 months in full, bringing the price down to exactly $15,000. In reality, this “new company” is no more real than the fake news we see on social media and TV today. However, Slick Willie figures he can get away with committing such a felony because old Bugsy is trying to flimflam insurance companies himself, which is better known as insurance fraud. Willie figures two wrongs will make his financial situation right. It’s always a good idea to make sure the company you are buying an insurance policy from is a real company, not simply a figment of someone’s clever imagination. So now that we are almost caught up, let’s fill in a few more details so the story is complete. About 11 days later Jim Henderson runs over a biker as he is making his way to pick up a disabled vehicle. Real trouble is about to begin for both Bugsy and Slick Willie. Tow Truck Insurance Louisville Kentucky — BIG Trouble! Jim did not mean to hit the biker; he was simply too distracted by a text message his brother sent him to notice that he was drifting right. He clipped the bicyclist who was out to get some exercise. Jim initially lies to the police officer, but while taking a statement the trooper grills Jim to tears. Jim finally admits he had taken his eye off the road to look at a text message when he hit the biker. The second issue comes just moments later. Jim hands the second trooper his commercial insurance information but something does not look right. Jim calls Bugsy to tell him about the accident and wants a better copy of his insurance card. “Hey, I just wanted to double check something. I have a million dollars of coverage, right?” Bugsy asks with some clear anxiety in his voice. Slick Willie did not think for even a second that an accident would happen so soon. Sure Bugsy is an idiot, with two even dumber drivers working for him, but this soon? “Well, it takes time to investigate these things, Bugsy. The claims department will be in touch soon.” He hangs up the phone on Bugsy. Bugsy is feeling a little more anxiety after being hung up on by his agent, so after thinking about it for a few minutes Bugsy decides to call in the claim himself. He Googles his insurance company to get the claims reporting number since it wasn’t on his policy or ID cards in his desk drawer. We will find out what happens in our next post. Tow Truck Insurance Louisville Kentucky — Don’t Get Tricked! Here is a sad fact: there are bad apples in every industry and the insurance business is no exception. Agents have been caught selling fake insurance policies, so you need to make sure you are getting what you pay for. You can trust the agents of Pathway Insurance. We have a stellar track record of honesty and integrity within the insurance industry. We do not use dishonesty or tricks to entice customers into buying insurance. In fact, we have produced a video series that addresses bait and switch insurance quoting that some of our competitors have engaged in. You can watch this video by clicking Bait and Switch Truck Insurance Quoting to learn more. Call Pathway For Kentucky Tow Truck Insurance! Our agents are standing by to help you find the best options for Tow Truck Insurance in Louisville or the surrounding areas. Why not call right now? Tow Truck Insurance Amarillo Tx – Why Should You Choose An Independent Agency? The reason shopping for Amarillo Tx Tow Truck Insurance via an independent insurance agency like Pathway Insurance is the smart way to shop for Commercial Truck Insurance is because independent agencies like ours have the ability to shop the market for the best prices and coverage being offered at any given time. That is a significant benefit to you because it not only saves you time, it saves you money. So why not call Pathway Insurance today to discover the rates that are available for your Towing Business? Our toll-free contact number is 800-998-0662. Licensed agents will be happy to assist you by phone Monday through Friday between the hours of 9:00 AM and 5:30 PM. Last time, Billy had just received notice from his insurance company about his latest insurance claims. His commercial auto insurance covered the damage to his own tow truck but because he did not purchase optional Garagekeepers Insurance* the damage to his customer’s vehicle was not covered. After sorting out the financials with his understandably perturbed customer, Billy gets back to work. Despite his recent setbacks, business has really been picking up lately. In fact, Billy starts to become so backlogged that he has taken to storing as many as four or five vehicles at a time on his property while he’s working on other cars. One evening, while Billy is asleep, a group of hooligans jump the fence around Billy’s property and discover the parked vehicles. Just for fun they smash all the cars’ headlights and taillights and then run away before Billy has a chance to spot them. Once again, Billy files an insurance claim for the damage to his customers’ vehicles that have been vandalized. Will Billy finally catch a break this time, or has he skipped out on important coverage once again? Find out in our next article. Tow Truck Insurance Amarillo Tx – We Look Forward To Speaking With You Soon. Call us today at 800-998-0662 for some of the best coverage options on Amarillo Tx Tow Truck Insurance. Tow Truck Insurance Garland Tx – Find Great Rates and Service! Are you the owner of a towing service, repair garage, or dealership? Are you on the hunt for better rates or more comprehensive coverage for your tow trucks, regardless of whether you are a fledgling business or a company with years of experience? If you answered “yes” to those questions then you have come to the right place. Pathway Insurance offers a wide variety of coverage options with affordable rates for Garland Tx Tow Truck Insurance, as well as Insurance for Tow Trucks throughout the state of Texas. You can reach us by phone by calling 800-998-0662 any time Monday through Friday between the hours of 9:00 AM and 5:30 PM. Our insurance agents would be delighted to assist you with insurance questions, clarifications, and quotes. Alternatively, feel free to use our simple online quote form to request free quotes any time day or night by clicking on Garland Texas Tow Truck Insurance. Tow Truck Insurance Texas – Claims Scenario Part Four. If you’ve been following our multi-part insurance scenario series starring Billy Sandwichshort then you know that Billy has made a few big mistakes with his business insurance choices that have cost him dearly. In last week’s article Billy’s insurance company denied his insurance claim because Billy had purchased a personal auto insurance policy in lieu of a proper commercial auto insurance policy for his tow truck. As a result, Billy is now left to foot the bill for his own tow truck and sort out the repair costs of his customer’s vehicle. The Sandwichshorts are no quitters, however. Undaunted, Billy resolves to learn his lesson and get things right next time. He stomachs the bill for the damage to his truck, works things out with the customer who owns the battered car, and begins again. Billy calls up his agent and makes a point to purchase a commercial auto insurance policy for his truck this time around. He’s a little surprised by the price. The agent suggests a number of optional coverage types that, in his opinion, would be a good idea to have for a business such as Billy’s, but Billy declines; he doesn’t have as much room in his budget as he thought, so he figures he can live with a no-frills policy. Several months later, it’s déjà vu all over again. While on a routine towing trip, Billy winds up in an accident that leaves his tow truck and another customer’s vehicle badly damaged. Though frustrated, Billy isn’t too bothered. After all, he purchased a commercial auto policy this time. He’s covered, right? Tow Truck Insurance Garland Tx – Call or Click Today! Give Pathway Insurance a call today at 800-998-0662 for great options on Garland Tx Tow Truck Insurance, and remember that you can click on Tow Truck Insurance in Garland Texas any time to submit your information online. Tow Truck Insurance Lubbock Tx – Call Now! If superior rates and service on Tow Truck Insurance in Lubbock Tx are what you seek, then you’ve found the right place! Pathway Insurance is the solution for all your needs for Tow Truck Insurance in Lubbock Texas and the surrounding areas. No matter if you are looking for Commercial Truck Insurance, Garage Keepers Legal Liability Insurance, Texas Storage Location Insurance, or have general questions about whether or not you need a certain type of insurance, we are here to help. Pathway Insurance offers insurance options from top companies for Tow Truck Insurance in Lubbock, Fort Worth, San Antonio, Dallas, Austin, Houston, and all over the State of Texas. Give us a call today toll free by dialing 800-998-0662 to speak with one of our experienced insurance agents. Also, you can also submit your information online by clicking on Lubbock Texas Tow Truck Insurance 24 hours a day, 7 days a week. As an agency we like to inform clients about bad decisions they could make when purchasing insurance. In a continuation of a claims scenario, we will learn about a BIG MISTAKE a gentleman by the name of Billy Sandwichshort made when he bought insurance for his tow truck. Tow Truck Insurance Texas – Claims Scenario Part Three. In our last post Billy Sandwichshort purchased insurance for his Ford pickup truck and began using it to provide a towing service for his car repair customers. We witnessed as he narrowly avoided running over an armadillo crossing the road, only to instead cause major damage to a customer’s vehicle and his own truck. Billy files a claim through the insurance company that recently provided him with a policy for his truck. In the meantime he gets to work fixing the car and does his best to explain to the customer what happened. A couple weeks later, Billy receives a letter from the insurance company. To Billy’s immense surprise, both claims have been denied. You may recall that Billy did not inform his new agent that he intended to use his pickup truck to tow vehicles for his repair business. Had the agent known, he would have informed Billy that he needed a business auto policy. Normally the agent would have caught this sort of thing when he ran the vehicle’s VIN, but because it is a typical pickup truck retrofitted to tow small cars the VIN did not tip him off to the usage of his truck. Coverage is excluded if the insured vehicle is: Used in the business of selling, repairing, servicing, storing, or parking vehicles. Unfortunately that is exactly what Billy was doing and his insurance company rightly refused to provide coverage under the personal automobile insurance policy Billy mistakenly bought. But what about the customer’s vehicle Billy was towing? Let’s say Billy had in fact purchased a commercial auto policy; would the damage to the customer’s car be covered then? We’ll answer that question in our next article. Tow Truck Insurance Lubbock Tx – Call or Click Right Now! Call Pathway Insurance today toll free at 800-998-0662 and talk to one of our experienced insurance agents. You can also click on Tow Truck Insurance in Lubbock Texas to submit your information to us online twenty four hours a day, seven days a week.